Description: Fiber Materials Inc. (FMI) develops and manufactures high temperature materials and composites for use in industrial, commercial, and aerospace applications. FMI produces carbon/carbon & carbon/ carbon SiC composites, rigid insulation, and advanced polymer matrix composites. As a recognized leader in the manufacture of high temperature composite materials, FMI produces components and products that serve a range of applications from industrial insulation and friction hardware, and from thermal protection systems (TPS) to rocket motors to missile nose tips. FMI materials can be found inside industrial furnaces, at the National Air and Space Museum, and on the surface of Mars. 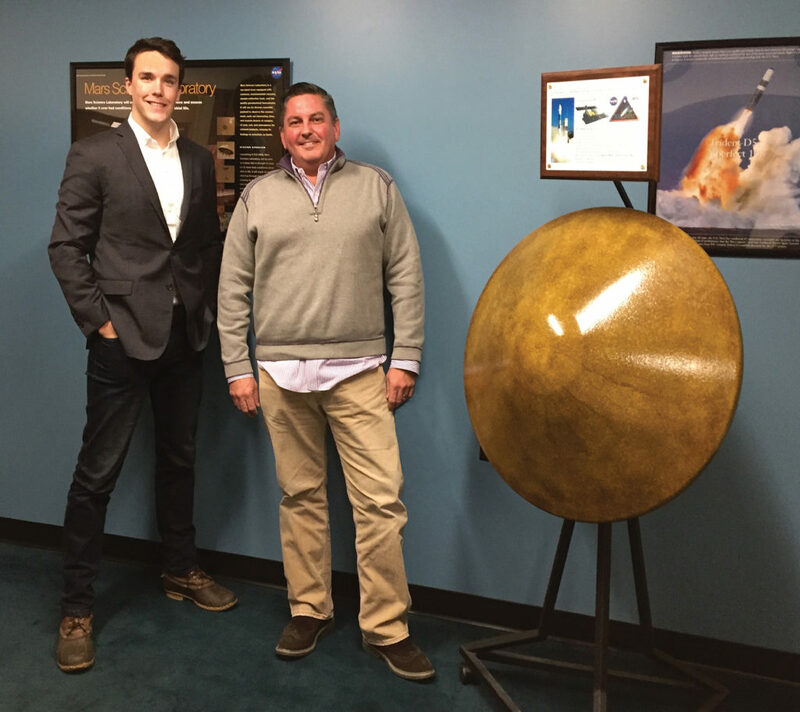 “While the majority of our business is U.S. Defense and Space related, we have no restrictions that would limit our international sales growth plans,” Dan Godbout, Director of Worldwide Sales and Marketing at FMI, said. A privately-owned business for 42 years, FMI was sold to GrafTech International in 2011, becoming part of a public company. Godbout joined FMI two and a half years ago, after a 20-year career in Business Development at Fairchild Semiconductor, with the intent to grow and diversify the business. In December 2016, FMI was purchased by Edgewater Capital Partners and is now a private company again with a focus on growth. In March 2017, FMI was part of the Maine delegation organized by Maine International Trade Center (MITC) at JEC World International Composites Event in Paris, France. In addition to exhibiting in the Maine booth in the U.S. Pavilion, FMI held several one-on-one business matchmaking meetings, arranged by MITC’s contractor in Europe OCO Global. The new product is a breakthrough 3D Polymer Matrix Composite (PMC) material, which earned FMI a 2017 Smaller Business Association of New England (SBANE) Innovation Award, winning top honors in the for-profit category. The PMC material is a revolutionary solution for high performance products which require a high strength to weight ratio such as prosthetics, high performance race vehicles, and aerospace. As a result of their JEC participation last year, FMI gained visibility in new markets and immediate export sales. While he could not name specific teams, Godbout said two high performance auto racing teams are evaluating the PMC materials for the 2018 season. He added that a company in Switzerland is also currently evaluating the product for use in high performance watch faces. While approximately 1% of FMI’s sales were international in 2017, Godbout hopes to increase that number to 10% in 3 years and 20% in 10 years. FMI will be part of the Maine delegation again in the upcoming JEC World International Composites Event in March 2018 and continue working with MITC to identify other opportunities to expand their commercial markets in Europe.